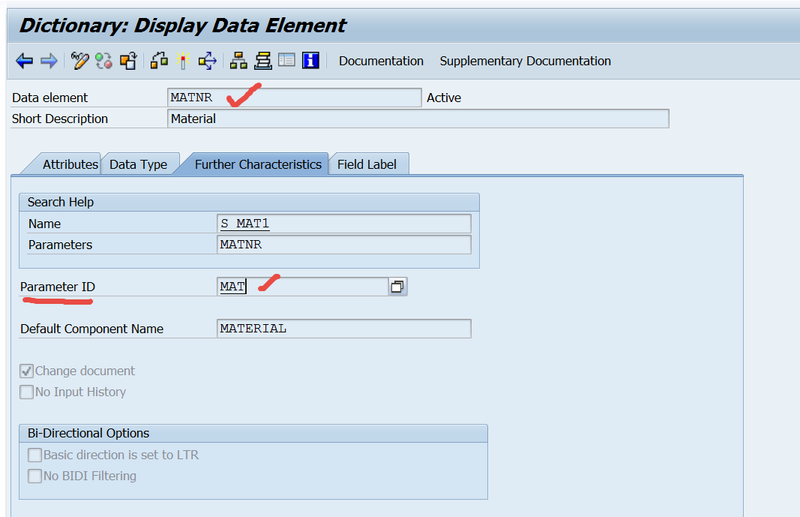 Open the data element MATNR. Here Parameter ID- MAT is used. 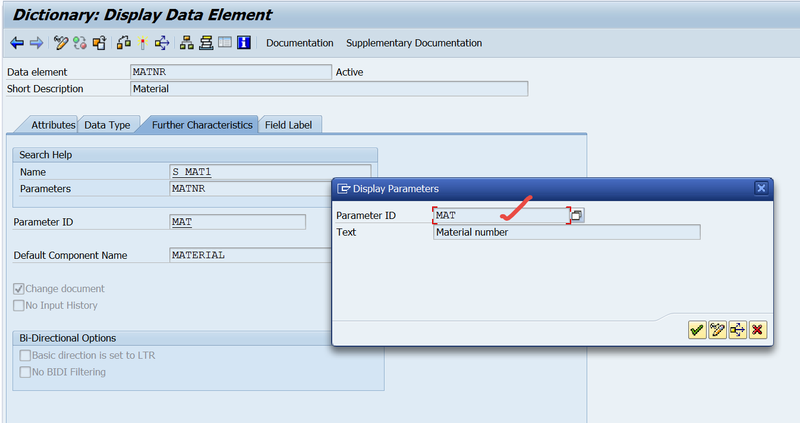 Double click on the Parameter ID. Open the table TPARA and here we can find Parameter Id – MAT. 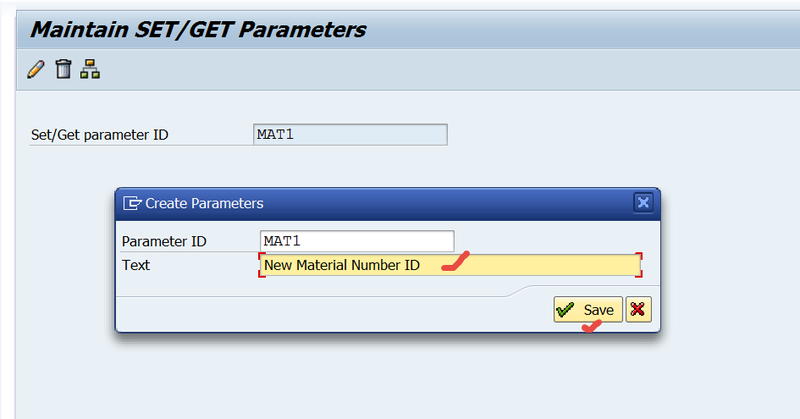 To create new parameter ID. 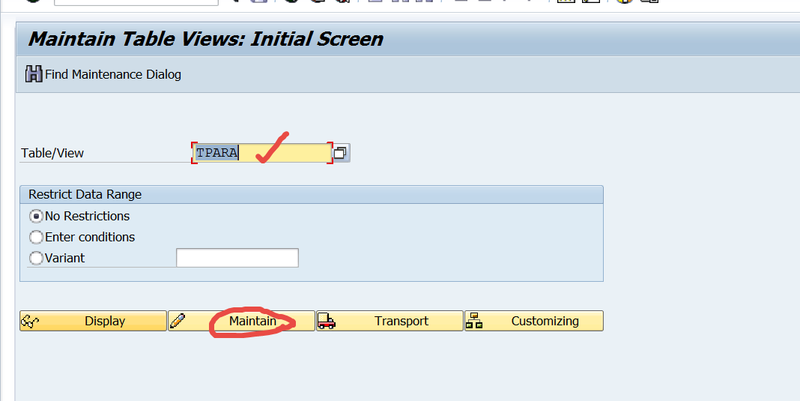 In SM30 , provide the table name TPARA and click on Maintain . Provide a parameter name and hit Enter key. Provide the text and save.